When ln KD is plotted against l/T, a straight line is formed with a slope of AH°/R and a Y intercept of AS°/R. Since R is the gas constant which is known, AH° and AS° can be calculated. One problem with interpreting changes in enthalpy and entropy is that changes in thermodynamic properties associated with the binding of a drug to a receptor may reflect a summation of chemical changes associated with the interaction process. These include such interactions as the binding of the drug to receptor recognition site, changes in the specific conformation of the receptor as a result of the binding of an agonist, changes in the nonspecific conformation of the receptor as a result of binding of an antagonist, the interaction of an agonist-receptor complex with a membrane component, hydrophobic bonding resulting from the interaction of lipophilic groups on the drug with the membrane, displacement of water molecules surrounding the drug and receptor, among others. Therefore, changes in enthalpy and entropy may reflect over all drug effects other than those mainly concerned with the drug-receptor interaction. While a variety of receptors have been studied, it has been generally difficult to distinguish between the effects of agonists and antagonists on the basis of differences in their thermodynamic properties. 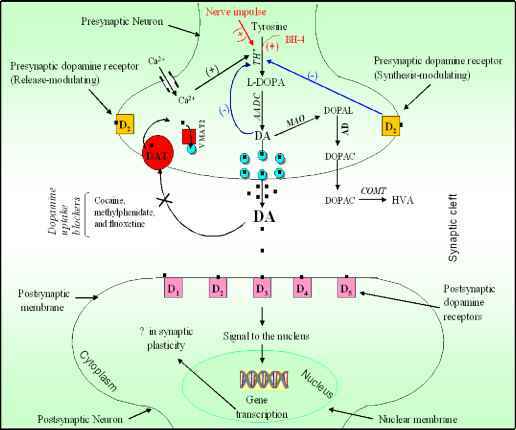 The most interesting results are from studies of P-adrenoceptors [73,76,77]. Based on calculations from studies of the binding of ligands to membranes at different temperatures, it has been found that antagonist binding to the P-adrenoceptor produces a negative free energy that is due to large changes in entropy. The latter was postulated to be due to hydrophobic binding. Agonist binding was also associated with a decrease in free energy, but it was largely attributed to an increase in enthalpy, which was able to overcome a concomitant small decrease in entropy. Studies of the thermodynamic changes produced by agonists and antagonists were also done on solubilized P-adrenoceptors, and the changes in entropy and enthalpy for agonists and antagonists were similar to those reported for membrane bound receptors. This suggests that the enthalpy and entropy changes associated with agonist binding to receptors in the low affinity state is not related to interactions with the lipid membrane environment of the receptor or the interaction of the agonist-receptor complex with G protein.